Get excited, FPS junkies: Halo 3 is now available on the Xbox Live Marketplace at an affordable $30 price point. For those that missed it the first time around, Halo 3 continues the adventures of Master Chief and is the conclusion to a story first started in Halo and Halo 2. The game has been supplemented with a wide variety of DLC multiplayer maps. The release is part of Games on Demand, Microsoft’s system that offers downloadable full-length games without the hassle of swapping discs or tasking the 360’s disc drive. Other Games on Demand include Mass Effect, BioShock, and Assassin’s Creed. 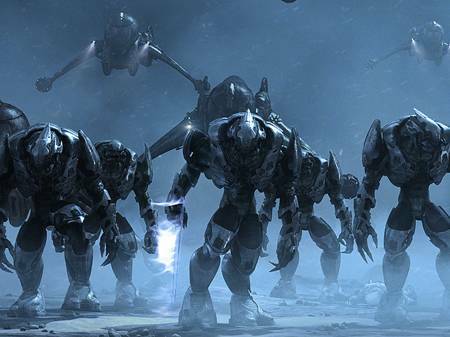 Halo 3 was first released in 2007 to critical acclaim and quickly became one of Xbox Live’s top games. It was followed by 2009’s Halo: ODST, which featured a human marine as the main character, and the upcoming Halo: Reach. Reach’s online multiplayer beta begins May 3rd.